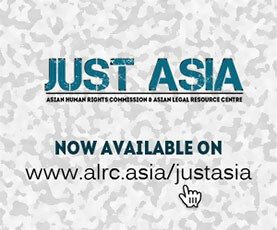 The Asian Human Rights Commission (AHRC) is seeking the intervention of the Working Group on Enforced or Involuntary Disappearances concerning the many disappearances committed by the State in Indonesias past, concerning which impunity prevails to date. One of the key events that led to the reformation of the Indonesian state were protests against Suharto’s New Order regime in 1997 and 98. At that time many activists were abducted and disappeared. For more than 10 years local non-governmental organisations as well as the National Commission for Human Rights (Komnas HAM) have urged the government to resolve these cases and have conducted considerable campaigns to push for justice without success. President Yudhoyono promised to make issues of impunity and atrocities that occurred during the past a top priority for his last presidential period. President Yudhoyono has recently been re-elected for a second term and the AHRC fears that no further progress will be made in these cases without interventions, notably that of the Working Group. Between 1997 and 1998, 23 students and other activists were reportedly abducted by the Army Special Forces Command (known as Kopassus) because of their political activism in the struggle for change and democracy under the New Order regime. This movement finally led to the reformation of the Indonesian state towards a modern democracy. For Indonesia to become a modern, stable democracy benefiting from the rule of law and the respect for human rights, it is vital for justice to be rendered concerning the grave and widespread abuses of the past. While all of the countrys many victims of a range of grave and widespread abuses require justice and reparation, the AHRC believes that in taking up the emblematic cases of the disappeared students and activists the Working Group could contribute significantly to dismantling the current system of impunity that is affecting these cases. This would then have helpful repercussions on the problem of disappearances more widely and the system of impunity concerning other violations of human rights. The initial abduction of nine student activists – Pius Lustrilanang, Desmon J Mahesa, Haryanto Taslam, Mugiyanto, Aan Rusdianto, Faisol Reza, Rahardja Waluya Jati, Nezar Patria and Andi Aref – led civil society to demand their release and accountability on the part of the military that had perpetrated these disappearances. One by one the victims were returned, however, 13 people are still missing, namely: Suyat, Yani Afri, Sonny, M. Yusuf, Noval Alkatiri, Dedy Hamdun, Ismail, Bimo Petrus, Abdun Naser, Hendra Hambali, Ucok Siahaan, Yadin Muhidin and Wiji Thukul. On October 2006, the National Commission for Human Rights (Komnas HAM) released the results of an enquiry that mentioned several human rights violations, including arbitrary arrest and detention, torture, and enforced disappearance, and highlighted the need for reparation to be provided to the victims and/or their families. This report was submitted to the Attorney General at the end of 2006. The Attorney General (AG) has not followed up the recommendations made by Komnas HAM, giving the reason that an ad hoc Human Rights Court has not been established by parliament. On January 5, 2007, the AG sent a letter to the Chairman of Komnas HAM NHRC, in which it was stated that the AGs office cannot proceed with the cases because there is no Ad Hoc Human Rights Court, referring to article 43 of Law No. 26/2000 regarding Human Right Courts. The Chairman responded that the process does not require an Ad Hoc Human Rights Tribunal. A copy of this letter was furnished to the President, the Chair of the Parliament and the commission no. III (Law and Human Rights) of the House of Representatives. The AG does not need an ad hoc Human Rights Court to follow up on recommendations made by Komnas HAM. The AG is being inconsistent in interpreting the law. In terms of precedent, concerning cases of violations in East Timor and Tanjung Priok, ad hoc Human Rights Courts were established after the AG had conducted investigations, as per the law (see below). In the case in question here, as a result of the AGs refusal to take action, no progress has been made in this or other cases that have been recommended by Komnas HAM to date. On February 21, 2008, the Constitutional Court issued Decree No. 18/PUU-V/2007 concerning article 43 of Law No. 26/2000. The Constitutional Court, when considering the constitutionality of Article 43 paragraph 2, re-affirmed the validity of the law in a decree. The decree reinterpreted the article so that mere allegations of gross violations of human rights are not a sufficient basis for the parliament to establish and ad-hoc Human Rights Court. Instead, the case should have been judicially investigated before such action can be taken. To fulfill this requirement, the Attorney General has to conduct an investigation before being able to present sufficient information to the Parliament to enable it to establish such a court. The law requires that after the AG has finished the investigation and the parliament has recommended the establishment of an ad-hoc Human Rights Court, the President has to issue a decree to enable the formal establishment of the ad hoc Human Rights Court. On February 27, 2007, the House of Representatives established a Special Committee regarding cases of abduction and enforced disappearances of student activists in 1997 and 1998. This Special Committee has proven ineffective, leading the House of Representatives to establish a new Special Committee in October 2008. Since this second Special Committee held meetings with victims and their family members, some human rights NGOs and the Attorney General. However, neither the government nor then-Commander of the Special Armed Forces, Mr. Prabowo Subianto, accepted the invitation to take part in the hearings held by the parliamentary committee. Fourthly, the Government should immediately ratify the International Convention for the Protection of All Person from Enforced Disappearances. Finally, on September 28, 2009, the plenary session of the House of Representatives agreed with the Special Committees recommendation and decided to recommend that the President establish an ad hoc Human Rights Court concerning the case of student disappearances in 1997/98. Concerning past cases, the President has ignored such recommendations for political reasons. In 2007, for example, the Supreme Court issued a recommendation to the President to formally rehabilitate the victims of the 1965 massacres, but the President has failed to do so to date. Furthermore, President Yudhoyono failed to take any credible steps to address impunity during his first term, despite repeated calls for the problem to be addressed by local human rights organisations and domestic human rights institutions. The AHRC is concerned that due to the politically sensitive nature of the disappearance cases, the President will be reluctant to establish the court by decree. The AHRC recalls the recommendation made by Komnas HAM, in which the cases of the 9 abductions and 13 ongoing disappearances should be dealt with by an ad-hoc and the country’s permanent human rights court respectively. Ad-hoc courts are set up to deal with crimes committed before 2000, while the permanent court deals with cases that the Attorney General’s Office has investigated and referred to the court. 1. Intervene with the Indonesian government, in particular the President and the Attorney General’s Office, to urge the immediate establishment of an ad hoc Human Rights Court concerning the afore-mentioned nine abductions..
2. Urge the Indonesian government to immediately locate the whereabouts of the 13 missing victims. 3. Intervene with the Indonesian government to also refer this case to its Permanent Human Rights Court system. Komnas HAM, citing the content of the International Convention against Involuntary and Enforced Dissappearances, explained that unresolved disappearances are continuing crime that remain ongoing. Ongoing crimes that have taken place after the year 2000 have to be dealt with by Indonesia’s Permanent Human Rights Court system, according to the Human Rights Court Law. The Working Group is requested to urge the Attorney General to acknowledge the ongoing nature of crimes of disappearances and guarantee that the afore-mentioned thirteen cases of disappearances are referred to the Permanent Human Rights Court without delay. 4. Ensure that the Indonesian government acknowledges its role and responsibility concerning the abductions and disappearances. Such an acknowledgement would be an important first step towards providing the victims and their families with reparation, and should not be contingent on the identification of individual perpetrators of these abuses. 5. Ensure that the Indonesian government provides adequate reparation to the victims and/or their families concerning these abuses, which Komnas HAM considers to be gross violations of human rights, and brings those responsible to justice. 6. Remind the Indonesian government of its obligations under international law and, in particular, urge the government to respect the provisions of the 1992 Declaration for the Protection of All Persons from Enforced Disappearance. 7. Call on the Indonesian government to ratify the International Convention for the Protection of All Persons from Enforced Disappearance without delay. 8. Request that the Indonesian government reform the Attorney General’s Office to ensure its compliance with its mandate, including the initiation of investigations into any alleged cases of human rights violations. Until such changes are made and verifiably implemented in practice, the credibility of the Attorney General’s Office in Indonesia is seriously in question, as is the government’s commitment to the protection and promotion of human rights. We thank you in advance for your attention and consideration and we remain at your full disposal to provide any further information that you may require.